Working as a flight attendant has its perks: You get to travel the world, live wherever you want and set your own schedule. But, as with any job, "there are pros and cons," Delta flight attendant Melissa Pittman told me when I spent a day shadowing her. The biggest con for Pittman is "being away from my children more than I want to be at times and missing holidays or special events," she said. "I'm missing my son's 18th birthday today, but my kids are used to that. They know that holidays like Christmas may not be celebrated on Christmas. It might be celebrated on Christmas Eve." [post_ads]While the hardest part of the job doesn't always happen on board, things can get stressful mid-flight. "We have to be prepared for anything: a fire, an irate passenger or a medical event. And medical events happen more than you'd think," Sarah Motter, another member of the crew, told me. There's turbulence, too, which is even more common than medical events. While turbulence "isn't going to put anyone in harm unless you're up moving around, it can definitely make service hard," said Pittman. In some cases, it prevents them from distributing drinks and snacks or even starting at all. When there's moderate or severe turbulence, everyone is supposed to remain seated, including the flight attendants. That means they have less time to serve food and drinks and have to hustle to get to every passenger. 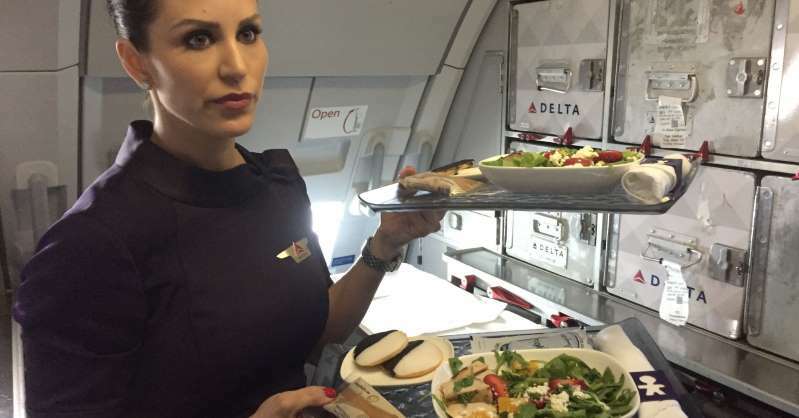 It's during times like those when flight attendants hope you don't order Diet Coke. It takes painfully long to pour and "makes flight attendants want to pull their hair out," Pittman told me. "I can pour three drinks to one Diet Coke. It's our nemesis soda." At the end of the day, the pros outweigh the cons for Pittman: "Even on my toughest, most challenging days with reroutes, mechanicals, weather delays, medical diversions, challenging passenger interactions or any other job related issue, I still love my job and would not trade it for anything."